Our latest wreath hanger allows you to create a beautiful wreath vignette without any visible wreath hanger! With the magic of super powerful magnets, our double sided wreath hanger allows you to hang one wreath the exterior of your door, and one on the interior when used on single pane glass or plexiglass. 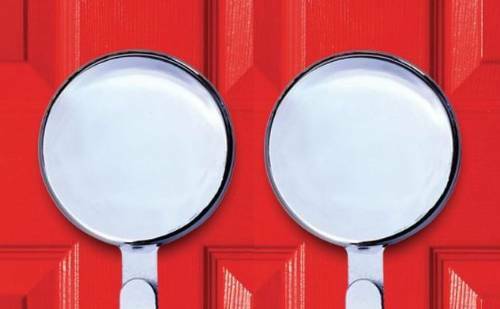 On a steel doors, you only need to use one to hang your wreath, so you can use the other hanger on another door, or on the interior of your door if you wish. 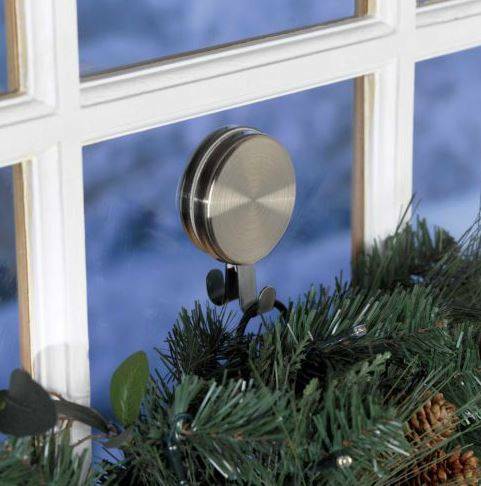 Due to the strength of the magnets, this wreath holder can accommodate items weighing up to 10 pounds.....And it's perfect for those doors that won't accommodate a traditional wreath hanger!